We tell our kids the stories in the bible are more than a symbol, that in fact they are “literal” illustrations of God’s power and presence in our lives. But do we really believe that? I only ask because I’ve noticed that kids seem to really believe that God will respond to their prayers. 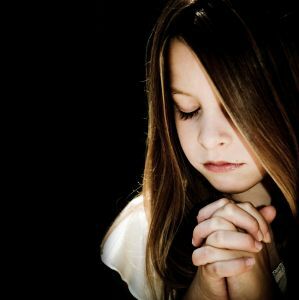 As kids pray, they do so expecting to see something happen… when parents pray, we often approach prayer as our duty, rather than the spectacular privilege it is, a chance to directly ask God for help. I had a chance to see God work some miracles in my family this week. One was subtle, the other spectacular. The subtle answer to our prayer could have been missed as “coincidence” or a totally natural outcome to the time and effort and desire we invested to get a solution to one of kids chronic health concerns. My wife and I know better. The answer we received was after months and months of praying, seeking and waiting for God to direct and confirm. When the answer came it was a simple and profound revelation as to the true cause behind our health concern. Wonderful. Very cool. An answer to our prayer, but certainly not the parting of an ocean or the revived breath of someone recently deceased. But a minor miracle none the less. It’s answer has influenced my daughter and her entire understanding of faith and God and divine intervention. She has taken a major step up in her faith as a result. The other miracle was spectacular. Undeniable. Fantastic! Everyone who knows of it can only nod and shake their heads to the awesome grace and power of God to intervene and overturn injustice and pending punishment to one of our other family members. These modern day miracles in my home, have reminded me how essential and practical prayer must become for our problems, our frustrations and our fears. God has provided us not only with a method to deal with our stresses and anxieties, but an opportunity to share that with our kids as we experience life together in a family setting. When we share in the challenges of life and ask God for help together, we all get to see faith in action and the sure to be seen minor miracles become the major steps of faith for our kids. The next personal or family crisis you experience…put it before God in prayer first. Ask your family to pray with you. Then step back and watch as God shows up and works in and around the situation or circumstance in ways that can only be described as “Miraculous“. Watching Miley Cyrus saturday host SNL sobered me a bit as I realized how much she really has changed. In just over six years she had gone from a fun and energetic, wholesome child star to a jaded and worn young woman. From the grocery store checkout rag’s to the primetime interviews… Miley’s family has been the focus of countless millions as they have been literally torn apart by her quote “successes”. What happened ? It appears that somewhere in all of the success and stardom her values shifted dramatically. Her youthful innocence was replaced with something much different. Something darker and more destructive has touched her family, ironic as it seems… this destruction of family is one of the common denominators with most if not all child tv pop stars. Why did it happen ? Somewhere along the way… her parents lost their ability to influence her more than the environment she was allowed to live in. Miley’s parents were affected by her success as much or more than she was… and it destroyed their home. The roots of their values, beliefs and faith were not deep enough to withstand the tsunami of her exploding popularity, wealth, influence and stardom. What can we do to prevent similar loss in our families ? Stay close to God’s word, and to each other. Simple, but profound. By staying close to God’s word, we stay close to “reality” and in doing so, maintain perspective on who we are and how much life is not about us. When we skip that step, we start to immediately drift into another reality. One dominated by the influence of media, popular culture and the despair of a self-absorbed life. When we stay close to God, our roots of faith grow deep and wide… preparing us and our families for whatever may come. Our kids, our pre-teens need us to maintain our connection with our faith and our values. When we falter, we open them up to being influenced by someone else, for purposes that will ultimately destroy our lives. I Peter 5 describes the Devil as a ravenous lion, its true. He has plans to steal, kill and destroy us and our kids. The first line of defense comes on our knees and in the word of God. I grieve for Miley, her family has been swallowed up by the very thing they so desperately wanted. Fame. As parents, we need to exercise some caution in our life choices… no matter how awesome the opportunity. When we pause and pray before acting… we include God in our choices and in doing so we avoid the devastation of our very lives. I’m confident the opportunity to star as Hannah Montana seemed perfectly harmless on the front side, but in the end it led to a path full of pain and loss. For all of us its the same…, we are in need of a savior, and in accepting His help, we must learn to accept His will. When we choose to let God pick… we’re protecting our families in ways we will never truly appreciate until eternity. As a media executive in the pre-teen and teen world of music and television, I’ve seen this mediacentric scenario many times before. But it’s not exclusive to media…many parents want to live out their hopes and dreams through our kids and we never hesitate to encourage them to pursue their desires to the fullest. From the performance pressures of little league to dance class to those pushing for academic scholarships… we as parents are risking the same outcome as the Cyrus family when we don’t offer a healthy life perspective, one full of faith, balanced in activities and content with whatever God provides. God protect us from getting our own way ! Here’s to encourage us all to carefully steer our kids through their tween years knowing that we must model our faith and hope in something more than ourselves… Keeping it on the road and in-between the lines of life.